Product prices and availability are accurate as of 2019-04-25 10:35:09 EDT and are subject to change. Any price and availability information displayed on http://www.amazon.com/ at the time of purchase will apply to the purchase of this product. 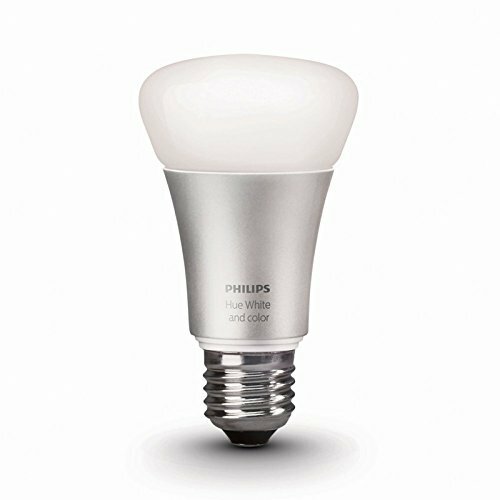 Let Philips Hue enlighten you with the 60W Equivalent A19 White and Color Ambiance Light Bulb. 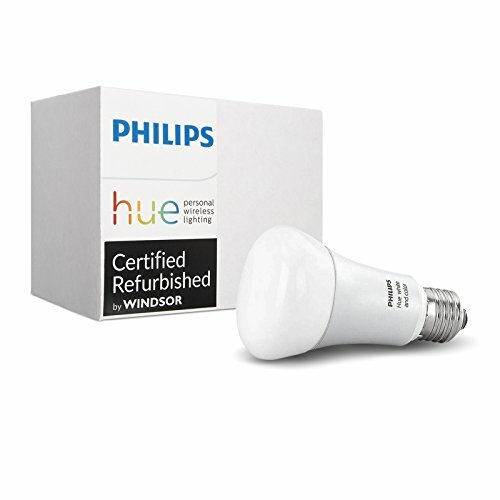 Just install the Hue bulbs, download the Philips Hue app, and sync them with the Hue Bridge (sold separately), and you'll have complete control of your lamps and lighting fixtures. 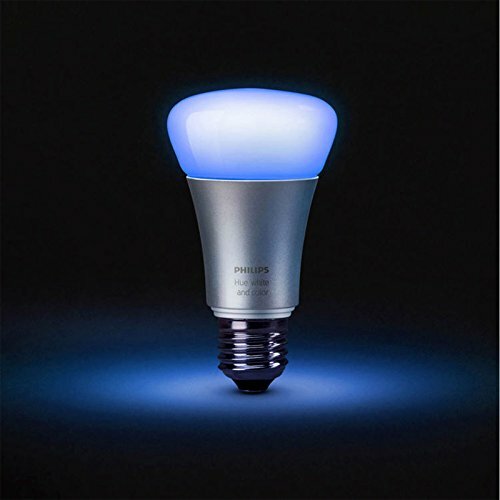 Now you can dim or brighten your light, set the mood with cool or warm lighting, and even put your light on a timer so they turn on as you get home from work. With 16 million colors to choose from, you are sure to find the right mood for the occasion. You can even choose colors that go with your favorite books, movies, music, and video games! Gradual dimming and brightening functions mimic sunset and sunrise so you can fall asleep and wake in natural lighting. These next-generation bulbs are 25% brighter than the previous generation. Pair the bulbs with Amazon Alexa, Apple HomeKit, or Google Assistant and you won't even need an app to control your lights, just your voice. If your home is already a "smart home", you can even pair them with an existing Nest or SmartThings system. With Philips Hue, the future looks bright. Or dim. Or however you want.